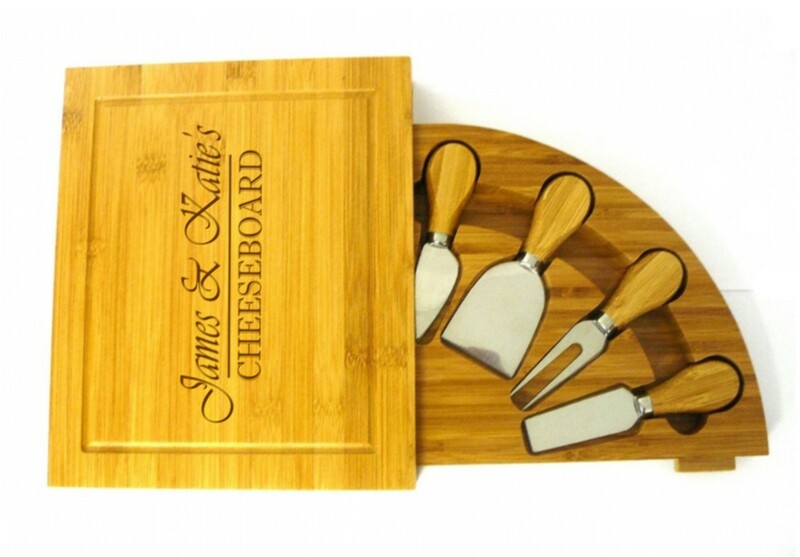 Personalised Engraved Bamboo Wooden Cheeseboard. An amazing bamboo wooden cheeseboard. It measures 25 x 21 x 3.7cm and has a slider drawer with the 4 tools included. All you need to do is let us know the names you would like engraving. Cheeseboard will be engraved as standard.